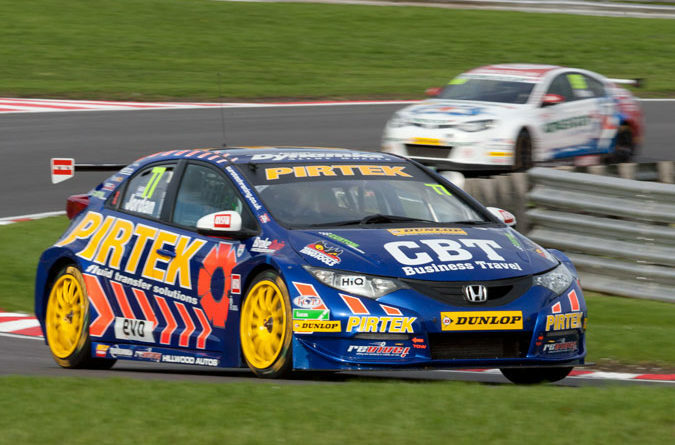 The final meeting of the Dunlop MSA British Touring Car Championship takes place this weekend on the Brands Hatch Grand Prix circuit in North Kent, with the title to be decided in a showdown over 3 races. 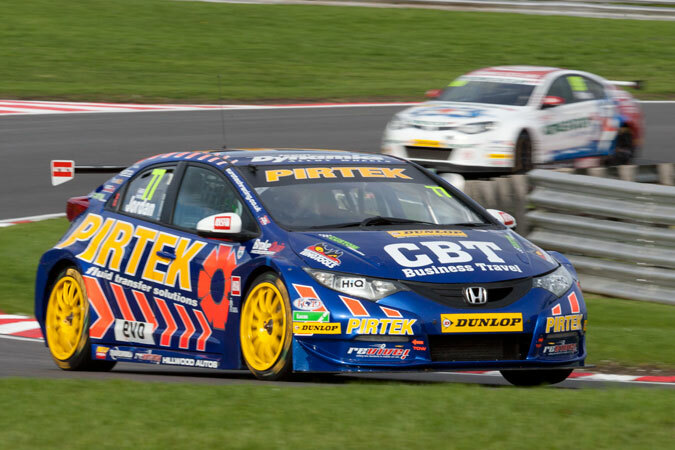 With 5 drivers still in with a hunt for the title Qualifying took place on a dry and sunny circuit (after early morning dampness) With Championship leader Andrew Jordan (Pirtek Racing Honda Civic) lines up in 3rd place, with Jason Plato (KX Momemtum MG6) on pole. Last years champion Gordon Shedden (Honda Yuasa Civic) lines up in 4th place, but his team mate Matt Neal has a major off at Druids and only has a 16th place and lots of damage for his team to fix overnight. The final driver in the hunt is Colin Turkington who lines his WSR/Ebay Motors BMW 1 series in 6th place. After a broken finger opp earlier in the week there was some doubt if Neal would be able to compete this weekend. With Sunday’s very wet conditions no one knows what to expect other than close racing with some drivers just going for it, whilst others (like Andrew Jordan) having to think of the championship. The three Hampshire drivers line up like this – Rob Collard 9th, Nick Foster 14th and Daniel Welch 18th. It will be interesting to see how the 3 Ebay Motors (Turkington/Collard/Foster) and the two rear wheel drive Audi A4s (Austin/Hill) will fare with wet starts, as there normal rocket starts off the line might not be available. Dan Welch in his Welch Motorsport Proton GEN2 has power and turbo issues in qualifying as he should have been able to get closer to the top 10, as he explained after qualifying. He is still recovering from his injury he suffered at Rockingham but it is only minor pain now and no longer need for numbing sprays in the medical centre.